It's always nice to see young talents moving up in the entertainment industry. Considering that many of the Four Dan Actresses over the years are popular A-listers, simply being chosen is a tremendous honor. Many of the previous Four Dan Actresses have gotten married and have children, and CCTV thought it time to select a new generation. Generally applauded for her acting skills in many of her projects, the 17-year-old Wendy Zhang Zifeng is undisputed in first place. She started acting in TV commercials when she was five years old. She won Best Newcomer at the 31st Hundred Flower Awards when she was only 7 and continue to receive nominations in prestigious awarding bodies. Vicky Chen Wen Qi is the youngest among the Four Dan at only 15 years old. In 2017, she won Best Supporting Actress at the Golden Horse Awards. She may still be a newcomer with just a few movies and dramas under her belt but make no mistake, she is a very capable actress. The 21-year-old Sophie Zhang Xueying may not have acting accolades like the previous two but her acting is remarkable. Sophie Zhang has built her career over the years by mainly appearing in idol dramas but many years ago, she gave a breakthrough performance in the movie Einstein and Einstein which hit theaters last month. Born in a family of actors, the 21-year-old Guan Xiaotong started acting at the age of 4. Given how early she started, she has the image of nation's little sister. She has already cemented her status as a leading lady with countless dramas under her belt but many of her idol dramas have not done very well. 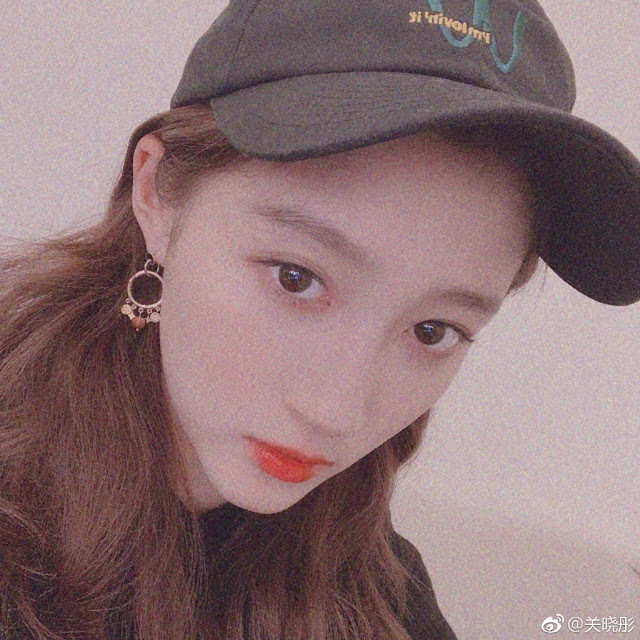 After being in Zhang Yimou's movie titled Shadow, people are beginning to notice Guan Xiaotong's acting skills. She just needs a good director and a good script to make her shine even more. Sorry but Guan Xiaotong’s acting isn’t as good as the others’ on the list. She simply got there because she was a child actress from a filmy family and attended Beijing film academy. She was quite brilliant in the Shadow. Before that I thought she was pretty mediocre. Errrrm.....I thought that first pic was Etta Ng jackie chan's daughter. The last 3 pics look the same, no much difference. Hard to find pretty girls these days eh? They're all pretty, just bad pictures. Or you just don't know them enough. What does the 4 dan actresses list have with beauty or visual. This list is made bt CCTV based on reputation and accomplishment in film industry. 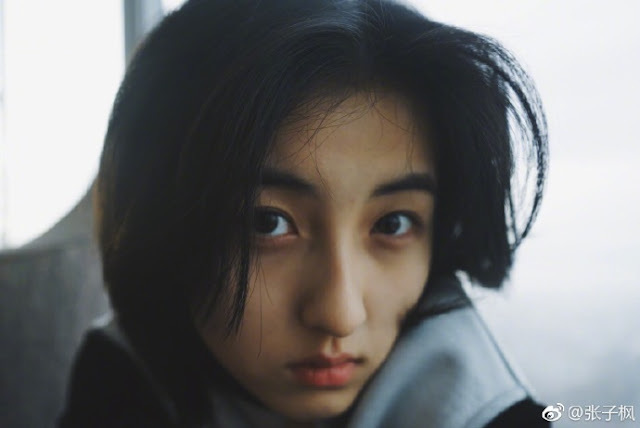 GXT is pretty weak though among the 4 but she has an extensive filmography, has worked with Zhang Yimou and is one of the most popular post-95 actresses out there. There's actually a lot of talented post-95 actresses like Renmin but most of them are pretty new and have not much in their filmography let alone acting accholades. These 4 are the ones that stand out the most. Two of them even have nominations and win from prestigious awarding bodies which post-85 actressses hardly accomplish during their entire acting career except maybe Zhou Dongyu and Ma Sichun only which are sad. Not that the ladies are not pretty but they don't have a classical chinese look...they look like modern korean girls. Or mostly like teenagers. @3.b Lmao they don’t have any Korean look. It’s true that K-beauty is a trend and you can see more and more of it among the Chinese youth and in C-dramas but Chinese make up trend is still distinct and none of the actresses above look Korean. Maybe GXT looks a bit from certain angles but isn’t she northeastern anyway? Also, this has nothing to dowith the classical Korean beauty either. And who the hell says that 4 dan needs to look like ancient Chinese beauties? Mind you, there are not even pictures from back then so are Chinese women suppose to meet the beauty of women they’ve never seen? And tbvh why can’t modern beauty and unique looks be as celebrated? I thought the biggest criteria to be chosen as a 4 dan actress is that you have critical acclaim. It seems more like a beauty and influence contest. None of them are sufficiently good-looking. The 90ers are the last batch with real beauties. This generation is meh. lmao at most of comments here. do people even know what does the list of 4 dan actresses mean? the list is conducted differently every year - by survey, media report etc. and there has been actresses that were listed 2 times in different versions like yangmi and guan xiaotong. they're inconsistent but basically, the selected 4 dan actresses implies that they have fame, popularity, commercial/ critical success. any significant accomplishment throughout their career that made them stand out. it's never really about beauty. if anyone actually follow c-ent closely, one should know that it's no doubt that these are the most outstanding post-95 actresses. i can't think any other post-95 actresses that have better accomplishment than them. So Vicki, Liu yifei, Zhou xun, Yangmi just happened to be really really pretty accidentally. So basically post 95-liners can have only child actresses because actresses that young don’t tend to have as much accumulated experience. and @8.a beauty is in the eye of beholder. Maybe 10-20 yrs later the current looks will be considered the epitome. I don’t even find Yang Mi that pretty. Liu Yi Fei and Zhou Xun are ofc a goddesses.